Health > Junk food cravings? Cravings are pretty common when we make changes to our diet. It’s a classic response to telling ourselves we can’t have something! 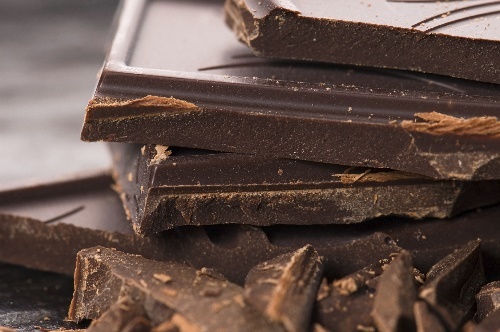 Here’s our top tips for dealing with cravings. Cravings can make us uncomfortable, so our instinct is to fulfil them at once. Next time, try taking a minute to think about what you really want. Are you tired and looking for a pick-me-up? Are you genuinely hungry? Or bored? Try and meet the underlying need of the craving, rather than a using a Band-Aid solution. If you’re tired, a brisk walk is invigorating (especially in the cold weather!). If you’re hungry, eat something satisfying rather than junk food that will leave you peckish again in half an hour. If that craving is stubborn, try doing something to take your mind off it. Unlike true hunger, cravings pass. Here’s some ideas of things to do that are better for your health than eating junk food (obviously, this could be a very long list!). Try making a list of things that work for you, and refer to them if cravings strike. If you’ve decided to have the thing you crave, really savour it. Being more mindful when we eat makes it more satisfying. Sit at the table, turn screens off, breathe, chew, taste and take a break between bites. This can help you enjoy your food more, while eating less of it. Anne Finch is an Accredited Practising Dietitian with a passion for food and kitchen craft. She has a Bachelor of Science (Human Science), a Bachelor of Science (Nutrition) and a Post Graduate Diploma in Dietetics. She has been working at Cancer Council WA in Australia since 2013 on a range of programs to help people all over the state eat well and be healthy.